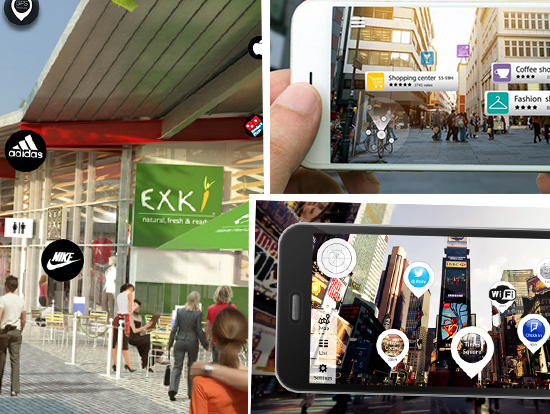 Home Augmented Reality How businesses can leverage location based AR to land lucrative deals? The retail industry was valued at $23 trillion worldwide in 2017. It is expected to grow at a CAGR of 5.3% in the period of 2018 – 2023 to reach $31 trillion by 2023. The growing smartphone penetration is also fueling the growth of ecommerce sector also. Therein lies a very good opportunity for retailers to use AR technology to drive profits and thrive consequentially. AR has given some of the best location based apps like Pokemon Go which only proves its potential and viability. That being said let’s discuss how location based AR is used in the retail industry and specifically on how finding retail outlets using markerless AR is done. Retailers can very efficiently use this technology to direct shoppers to particular parts of a store outlet or even can highlight specific products in a given aisle. Live promotional AR offers can be imbued on specific locations like overlaying reviews at the threshold of a restaurant. One can incept intuitive retail map solutions by merging store and customer data in a visual manner that only increases the interactive customer experience. An ideal mapping platform is one which has the interface to provide location-based offerings, rewards and prizes, and messages to customers. Not many realize that location is actually a very crucial element of customer engagement in marketing and retail. Do you know over 50% of brands use location data to lure customers to their offerings and have realized increased ROI marketing programs in both in-store, out-of-store. Even ecommerce giants use location data to further their business and it is a well established fact. WRLD is a company which creates customizable 3D maps which gives an overall picture of a store space. Through their maps one can use spatial analytics to get a real know how of the visitors, develop effective retail operations and product placements. They bring those APIs to their platform like points of interest, directions, transit and mobile payment services which have enhanced the customer loyalty and satisfaction. Interactive maps and self-guided tours can all be realized through their maps. Usually users will generate highly relevant content from location based messages from stores, cinemas and restaurants etc that they often visit. The company professionals are leaving no stone unturned in aptly making use of this content. In terms of offerings one can merge customers’ passbooks with retail reward applications and get their points redeemed and get relevant offers as per their shopping preferences. Users can be fed with rich information like transportation links, car parking , navigation which gives for a well thought outdoor to indoor experience using their services. Marxent has come up with a visual commerce platform which is aimed for omnichannel retailers and manufacturers. It can be used to create vivid 3D experiences in various aspects of customer journey in the retail space. It’s one-of-a-kind markerless technology which enables single camera mobile devices to place a 3D product in a real world context without using QR code or marker. The selected object can be viewed closely or at a distance using camera to orient the 3D object in real space and can be worked upon so that it can fit in real world environments. They seem to have striked a perfect solution as retailers and manufacturers have always wanted to use reality technologies in their play. There were issues with scale, stability and product viability which had held them back from investing into the reality technologies. They now rest assured that they can place a safe bet on this company’s 3D product offerings and highly relevant shopping. Wikitude based in Austria has come out with an SDK which is used by paysafecard app which shows the user sales outlets that are in their vicinity. There is also something fun which can be realized through its interactive search function. Not only that, there are a host of striking features like the charging function through QR code and mobile access to ‘my paysafecard’ account. Through this app users are always aware of the latest trends, competitions, promotions etc. The display of the app lets the clients to find the store they’ve been looking for in a very intuitive way. Like other location based services the app also lets users rate the outlets they’ve been to which benefits other users. It works in a really nice way. Here the camera should be pointed around to see location of various stores in the direction the user is facing. One can also adjust the radius to see those stores which are nearest to the user. Upon clicking on the location icon of the store one gets all the details of the store. Using store details one can even have a map from the current location to the store. Another prominent example of this trend is through the IKEA app. It has ever focussed on the reality technologies and is now experiencing the fruits of its vision. Through this app one can see exactly how a piece of furniture fits in their space. Lowe’s is another player which is into kitchen visualization and design. Adidas has joined hands with Microsoft Kinect to build a body scanner that will be in their physical stores. Customers who enter the store have their entire body scanned and they can try on the clothes virtually. One can try on hundreds of dresses without actually removing the physical dress they’ve been wearing. And once you’ve been scanned you can try the clothes at the store or at the home. The list doesn’t end here as Uniqlo, Gap and even Ralph Lauren have used markerless AR in their own way. Markerless augmented reality has the capability to revolutionize the retail environment, thereby making it more immersive and efficient. It not only lets shoppers have a digital overview of their products before purchasing but they can also be instrumental in discerning into their buying patterns, give options not available in a particular location and also provide instant recommendations. Therefore it is not an overstatement on our part when we say that location based AR will revolutionize the retail space for good. How AI concepts like FSM, MCST,VR and AR are used in gaming? How AR & VR reality technologies will really revamp these domains?